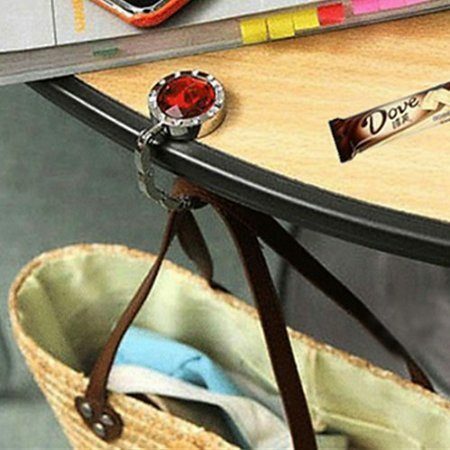 Folding Purse Hook Only $3.81 Shipped! You are here: Home / Great Deals / Amazon Deals / Folding Purse Hook Only $3.81 Shipped! Putting your purse on the floor or in the seat with you when you are out can get crowded and gross. Get this Folding Purse Hook for as low as $3.81 on Amazon! And, it will ship for FREE! Choose from black, green, red, purple, sapphire blue, white-silver, golden, and rose-red.